OK – I love hiking poles. But there are disadvantages of trekking poles & you should consider them before laying down $150 on a pair. Learn what they are here. 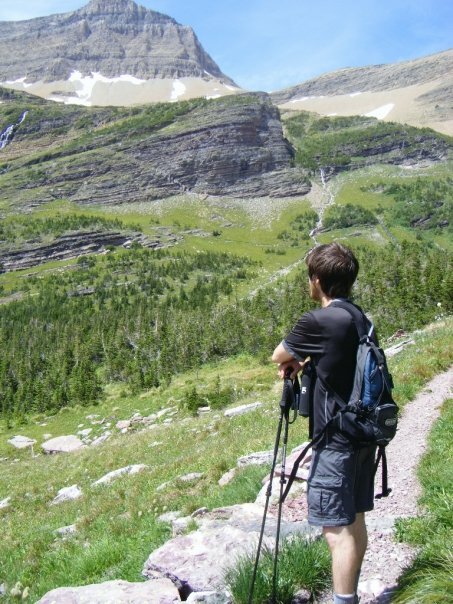 Honestly, trekking poles can be amazingly useful in the wilderness, providing you with a number benefits that can help you finish your hiking or camping trip successfully. But there are also reasons why you may not want to pick up a pair of trekking poles. Ultimately, it will be up to you to decide whether or not trekking poles are right for you, but it’s important to do your research before making such a decision. Take a look at the page on Pole Hiking Benefits, and then take a look at these disadvantages, weighing them against each other. That way it will be easier for you to make an informed choice, instead of just an impulsive one. Personally, I believe the pros outweigh the cons, but that’s for you to decide after reading both pages. Before we dive into the bad news of using trekking poles, we should probably answer this question first. Trekking poles are tools that people use on hiking trips to aid them on the trail. In essence they are just like ski poles, but with a whole lot of extra features thrown in for good measure. These seem like pretty amazing products, right? Well, they certainly can be. But they can also cause some problems. Let’s look a little closer at those. There are several drawbacks to using trekking poles while hiking. Again, the number of disadvantages is nowhere near the pros, but you should be aware of them before buying. Trekking poles are expensive! Take a look at your favorite online market–like REI or Backcountry or wherever–and see how much the decent trekking poles cost. I dare you to find a worthwhile model under $100. This is money that may be better spent on buying the best hiking boots or backpacking tent for your needs. Unless your knees are shot, trekking poles aren’t necessary, so pick and choose your purchases wisely. The plain and simple truth is that using trekking poles increases your overall expenditure of energy. You do more work when using them. And the work, while certainly beneficial to your overall health, can shorten the overall distance you can hike in a day. It takes time and some proper instruction to learn how to use trekking poles with the correct technique. A lot of people assume they know how to use them, but don’t understand that unless you are employing the right techniques, you aren’t going to get a lot of benefits from using them. In fact, with the wrong techniques–or no technique at all–you could be doing more damage than good. You’ll be expending extra energy for not much benefit. Or head over and read about the best hiking poles you can buy on the market! 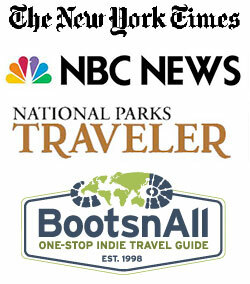 Or head back from disadvantages of trekking poles to Glacier National Park Travel Guide’s homepage.